Used for transmission of signals in control systems. Provide signal protection between pairs, good electromagnetic protection from external influence, Flame Retardant according to IEC 60332-1, Fire Retardant according to IEC 60332-3 categories A and C, halogen-free, low acidity and corrosivity of the combustion gases and reduced darkness of fumes generated during combustion. 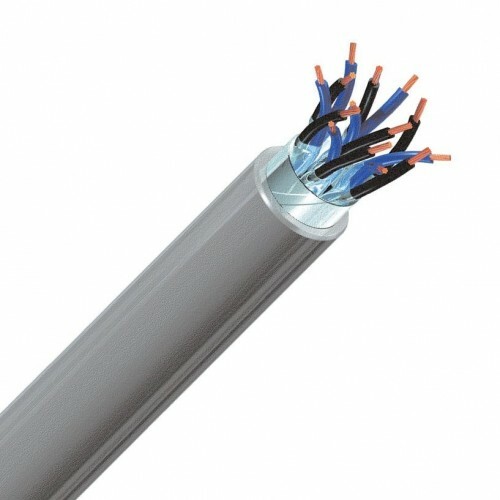 These cable are able to work at very low temperatures (-45oC). It also comes with an option class 5 to provide extra flexibility. Copper class 1 or class 5 (-K) according to IEC 60228, Polyethylene (E) insulation, Individual Aluminium bonded to polyester tape with drain wire (O1), Collective Aluminium bonded to polyester tape with drain wire (O2), Halogen-free thermoplastic polyolefin (Z1) sheath.